Coming November 23, 2017. 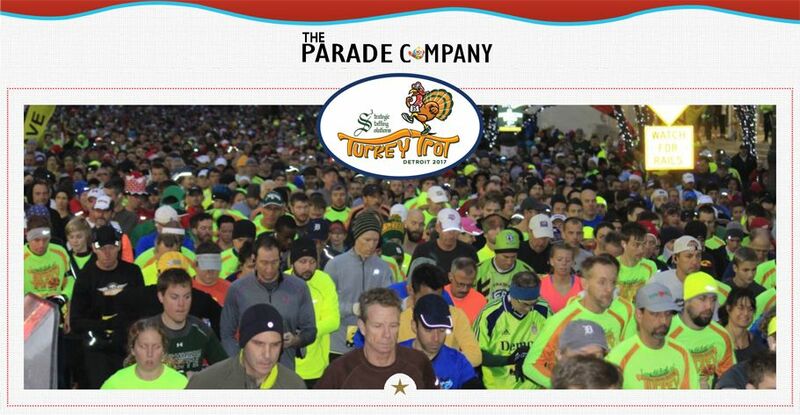 Known as the “Parade before the Parade”, the S3 Turkey Trot in Detroit will have you working off anticipated calories before the city’s annual turkey day parade. Expect huge crowds as about 20K runners take to the streets of Motor City, many in costume, running the 10K Turkey Trot, the 5K Stuffing Strut, or the Mashed Potato Mile. If you plan to eat that extra piece of pumpkin pie, go for the Drumstick Double (10K and 5K) or the Cranberry Combo (1 mile and 5K)!